“Calvin, over here!” called Harry as Calvin entered the Great Hall the next morning. He went over to sit down, yawning. “Glad you’re back,” Harry smiled at him. “Very subtle, Ron,” Harry chuckled, spearing a clump of scrambled eggs with his fork. “No, I noticed it too,” Hermione said thoughtfully – though, not being Ron, she didn’t instantly turn around to try and spot the blond-haired Slytherin. Calvin – not being Ron but still being himself – surreptitiously looked over at the Slytherin table, and caught Draco’s eye a second before the other boy ducked his head. That’s strange, Calvin thought, noticing the way Draco moved and held himself. He seems…afraid of something. Just then the twins walked up to them, sticking their heads around either side of Harry’s. “We heard you made the team as seeker!” the one on the left exclaimed. “Wood told us!” said the other. “Keep your voices down!” Harry said urgently, but it was too late; the rumour wave was already rippling out, as students who had overheard turned to whisper to their friends. Watching the whispers quickly expand to include the other house tables, Calvin shifted in his seat until he had a better view of the Slytherins. Whisper followed whisper, nudging the next along like one of those office desk toys with the shiny silver balls hitting each other. Soon the news reached Draco. The boy peeked around, not even aware of Calvin’s gaze as his own settled on Harry for a moment. There it was, I’m sure of it. That was a sigh of relief. “Hey there, Destiny Boy-o,” one of the twins greeted, sliding into the seat beside him. “You guys have friends? I thought you only had victims and accomplices,” Calvin said. The two redheaded third-years held their hands to their heart and did their best to look offended. “So, how about it?” They leaned in hopefully. “Sure, why not,” Calvin shrugged. “Not that that should be difficult.” They headed off, discussing how fantastic they were at Quidditch. “Anybody have any experience announcing sporting events?” Calvin asked his table. “I’m your man!” yelled Dean, hopping up onto his seat and leaping across the table. He rushed over to Calvin. “Sure thing! I’ve got to go,” the tall boy said, peering over to where he’d been sitting previously. “It looks like Seamus has managed to ignite his pumpkin juice again.” He leapt back over to his side of the table. He’s like Batman, without the whole ‘my parents were killed in front of me when I was a child and I smoke ten packs of cigarettes every day’ thing. When they stood to leave the Great Hall, a certain Slytherin first-year walked hastily over to Calvin, who had arrived late to breakfast and so was still finishing up. Ron quickened his pace, pulling Harry out the doorway with him. “I’d,” the Slytherin hesitated. “I’d like to talk with you,” he said through gritted teeth, eyes flicking up before returning to staring at the ground. “Calvin, you’ll be late for Potions,” Hermione warned, eyeing Draco distrustfully. “Why me?” Calvin asked the tense boy. “After you stole Neville’s Remembrall and tried getting Harry expelled?” accused Hermione sharply. “You don’t know what you’re talking about, Granger!” Draco shot back, eyes hard. “Calvin…” Hermione pleaded with her eyes, nodding towards the exit. Draco looked at him in confusion, then shook his head. “No, I don’t mean right now. Meet me tonight, in the trophy room. Eleven o’clock, got it? Only you.” Calvin nodded, and the anxious boy headed back to his entourage at the Slytherin table. Hermione was nodding along, though uncertain as to the point of this exercise. By then they’d arrived at the Potions classroom, and class began only a moment after they’d taken their seats. At the end of a long explanation about the potion they’d be brewing that period, Snape paused. “Are their any questions before I move on,” the Dread Herald asked blandly. “Professor Snape, sir, I have a question,” said Calvin politely, raising his hand. Calvin was told to copy down the complicated potion instruction that were back on the board, the same ones as last week. He sighed and began to write. I haven’t lost nearly enough points yet. Might as well come up with another bogus potion. He scribbled down some detailed steps on how to best steal cookies from a cookie jar. Step 1: Who stole cookies from the cookie jar? It will be you. He took his time explaining the preferred methods, the advanced methods, and even a few of his own creation that could only be done if one owned a hang glider, pom-poms, and an EMP device. When he handed it in, Snape barely glanced at it before sighing and setting the parchment on fire with his wand. He said nothing as the parchment turned to ashes, merely collecting the vials of potion samples from the rest of the class. “What plan?” asked Ron, looking slightly apprehensive. “I’ve got some studying to do,” Hermione said. “But do update me tonight if you find out anything more. See you guys at dinner,” she waved, turning into a hallway that – eventually – would lead to the Gryffindor common room. Ron watched as she left. “I don’t think I’ll be coming either,” he told them in apology. “I’m going to go…study. Yeah, gonna go catch up on that studying, for those classes and subjects that we have. The studying of information about things, things that we have to know, for tests and quizzes and life in general. Studying, studying, studying, where would be without it. Would you look at the time, it’s already later than it used to be – I really must be going, got to do the studying thing, where I study…things. Just fascinating, the things that studying reveals about other things.” He hurried off. “Jus’ a second, hold your hippogriffs!” they heard from inside the cabin, Calvin having just knocked on the door to the beat of the American military wake-up call. They sat there, sipping from mugs a quarter the size of Hagrid’s. “I think we should bring Harry on board. He’ll be a huge help, I’m sure,” Calvin told him. “Ye’ haven’t told ‘im already?” Hagrid questioned, peering at Calvin from under his heavy brows. “Ye’ got tha’ right. So,” he cleared his throat, glancing at Calvin. “It’s yours to tell,” the spiky-haired boy said. “Right. Harry, the thing I picked up during our trip to Gringotts was,” he licked his lips. “It’s called the Philosopher’s Stone. Now, I’m not sure exactly wha’ it does, but it’s extremely important, a very powerful magical object. Dumbledore’s real serious about keepin’ it safe – tha’s why he chose to bring it to Hogwarts, and asked me to borrow Fluffy ter help guard it.” Hagrid looked at Calvin. “You’ll know all about Fluffy of course, right?” He inclined his head at them, question hanging in the air. Harry froze, then quickly glanced at Calvin, who had paused with a rock-cake halfway to his mouth. “Yes, yes, of course I do,” Calvin covered, scoffing at the query. “Oh, tha’s simple. Everyone assumes a giant three-headed dog-” Calvin choked on his tea “-is goin’ to be ferocious and mean. But if they hear his name’s Fluffy, they’ll know he’s really jus’ a sweet, lovin’ creature. I do hate it when animals are misunderstood.” The hairy man unhooked a gigantic lantern from its place on the wall, and opened the door. “I’ll see you guys next week, then?” he asked hopefully. “Wait, you know where it is? !” Harry asked her. “I was never assigned an essay,” Calvin said curiously, peering over at her parchment. Their first History of Magic Class, Hermione had spend ten minutes trying to convince Calvin to attend, and she had eventually succeeded. History of anything sounded way too much like old-school school to Calvin, and he told her he hadn’t come to Hogwarts only to learn about ‘that stuff’ again. Still, he’d gone along with them as they found seats in the lecture-hall oriented classroom, and waited for their teacher to show up. Professor Binns, it turned out, was a ghost. Calvin got excited when he saw him float through the board at the front of the room and over to the teacher’s desk. Then Professor Binns had opened his mouth, and Calvin’s attention span had changed channels faster than a speeding toboggan over ice-slicked mud. Then Calvin had stood up, slid his History of Magic books back into his back, and walked out. Hermione gave him the evil eye as he passed her, but the professor didn’t seem to notice. And that was the last time Calvin had ever attended a History of Magic class. Another odd teacher was Professor Quirrell. While walking into the classroom the first time, he’d stopped, turned, and started walking in the other direction – five times. Once he finally got to the front of the classroom, he’d greeted the students kindly, then scowled at them. His movements were always jerky, as if he couldn’t quite decide what he wanted to do. At least the material was interesting enough, if sometimes hard to understand through his constant stuttering. Calvin remembered one such period when Professor Quirrell hadn’t even been able to complete his first sentence. “That’s all, folks!” Calvin had yelled, throwing up his hands in exasperation. They never did find out what the creature was called, as Professor Quirrell had then opted to just skip the introduction and get straight to the lesson itself, never again trying to say the name. They’s started on the basic shield charm two days before, and it was one of the only actually useful spells Calvin felt they’d yet to hear about. After seeing the effects of the Hover Charm in Charms class, he’d thought he could use it to get himself things without having to move, but was disappointed to find out that it wasn’t really the equivalent of telekinesis. So, as Hermione finished up her essay, and Ron goaded Harry into another game of wizarding chess, he flipped open a book he’d checked out from the library and got out his wand. “Accio Hermione’s essay,” he said, with the accompanying wand movements detailed on the page in front of him. “Just stay away from my essay,” Hermione told him, eyes wide. After dinner, Calvin attended an impromptu prank powwow held by the Weasley twins. “We just did that the end of last year,” one of the twins said. Calvin decided he was Fred. “I was thinking a prank involving a little more…panache. Something everyone will see,” said George. Calvin wasn’t quite sure what was going on. They were all just sitting there, collaborating on ways to prank people. It was unreal. He didn’t think he’d ever felt so…at home. I don’t think I’ve ever felt so…at home, he thought. “We could stage something,” he suggested. “It could be like a flash mob,” Calvin said. “What’s a flash mob?” asked Fred, intrigued. The twins were looking thoughtful. “You could be onto something, Destiny Boy,” George said with a grin. They planned and discussed, discussed and planned, threw discuses and plants, and generally had a lot of crazy ideas. “It’ll take some work to get everyone in their proper places,” George mused, looking at the Master Plant, a vine they’d charmed to branch out into words and pictures of what they were planning. “I can call in some favors,” Lee told him. “I’ll do whatever I can,” Calvin said. “I don’t think anyone’s done this in the history of Hogwarts,” Fred said proudly. “Resting our ferns in the accoutrements,” Calvin agreed, nodding heartily. “That’s not a bad tag-line,” noted George, rubbing his chin. “Right,” Calvin said, backing away. “I hate to leave so suddenly, but I have to go, um, meet some hair gel about a…souvenir place. You guys keep at it.” Then he turned and sprinted away as fast as his legs could carry him, only stopping once he was alone and far away, in an unfamiliar hallway, out of breath and most likely lost beyond all imagination. Getting to his feet, he made his way toward the dead end, making sure to keep a hand in contact with the stone wall at all times. If I’d known I’d be back here, I would have memorized where that exit was. When he reached the dead end, he crossed to the other wall and started down the hallway again, this time in the direction of the confused window. He reached the window a minute or two later. Just my luck, the exit’s in the small piece of wall I’ve yet to check – ‘always the last place you look’ is right. And yet, while walking along the last section of wall, he did not find anything out of the ordinary about it. That is, it was definitely a regular, solid stone wall. “Ouch,” Calvin muttered, picking himself up from where he’d been deposited by the Malevolent Hallway of Unintentional Visits and the Shifting Exit. “Oh hey, the trophy room! Thanks for that,” he said, looking up at the Misunderstood Hallway of Sometimes Opportune Yet Unintentional Visits and the Shifting Exit. He entered the trophy room, admiring all the shiny, shiny trophies and medals. They were just so shiny. So very shiny. He reached for one. “Calvin!” hissed a voice from the hallway. Calvin stepped out, looking wistfully back at the almost tragically shiny trophies. A small figure stood right outside the room, shrouded in a cloak far too big for whoever wore it, though it did do a good job of hiding the figure’s identity. “Hi, Draco,” said Calvin, walking up to the hooded figure. He vaguely remembered someone telling him to never approach hooded figures, but knew that it didn’t apply here. “Are you alone?” Draco hissed cautiously, drawing back his hood. “What?” hissed Draco, face screwing up in confusion. Draco looked at him, then at the wall. “I didn’t have a choice,” he said uneasily. “Shut up! Shut up for a second and let me talk!” he hissed, hands curling into fists. “You’re hissing again,” Calvin commented. Calvin got a bad feeling that started…well, somewhere in his spleen, actually. It soon made it’s way to his gut, though, and he stepped out in front of the blond Slytherin. “No, wait! Don’t go, really, I just…I have a hard time not talking over people. I’m working on it, but it’s still a problem.” Draco hesitated, then moved to brush past him. “Keep talking and I promise I’ll listen. I won’t interrupt you and I’ll listen to everything you say.” Draco stopped, his back to Calvin. If he walks away, something terrible is going to happen. I know it. “Draco, please.” He didn’t move. Not forwards, but not backwards either. “I’m sorry.” A moment ticked slowly past. And Draco Malfoy turned around. Calvin had questions – he always had questions, mountains of them – but he kept them to himself. To speak now would be to break a promise, and with it any chance he had of figuring out Draco Malfoy. Calvin didn’t say a word. Footsteps sounded, echoing from far off. “Shut up!” Draco seethed, shoving his face an inch from Calvin’s. “I was talking to you, I was telling you things. Things I have never told anyone! You worthless sack of filth, I was going to trust you!” he screamed at Calvin, shoving him back. Tripping over an uneven part of the floor, Calvin put his hands out to catch himself, but he had forgotten the wall was behind him. He slid down it, falling, and his hand hit the stone floor when he wasn’t ready for it. He felt pain shoot through his wrist as it bent farther back than it should have been able too. “Wait, Draco!” The Slytherin had drawn his hood back up and was hurrying away. “Draco, I didn’t tell anyone about the meeting!” Calvin yelled after him. The robed figure turned a corner and disappeared. “Popsicle sticks,” Calvin muttered angrily, pushing himself to his feet using his good hand. The footsteps echoed again, a lot closer – whoever it was had definitely heard their voices once they’d started shouting. “Someone out in the hallways, I know it, I hear you!” Filch’s hoarse voice skittered around the corner at the far end of the hall, and Calvin knew the man – and his infernal cat – wouldn’t be far behind. “You won’t get away from us, it’s a whipping for you, yes it is!” the man croaked excitedly. He’s mad, and incredibly creepy, Calvin thought as he cradled his injured wrist and hurried after Draco. The bipolar Slytherin was nowhere to be seen, but Filch sounded like he was catching up, so Calvin broke into a run. How is that spindly hobo so fast!? “Alohamora,” Calvin wheezed, knocking his wand desperately against the doorknob. He scrambled to turn the knob and yanked open the door, slipping inside and then hastily shutting it as quickly as possible without making any noise. He pressed his eye against the keyhole and tried to silence his own heavy breathing. Filch was just entering the hallway, squinting around in the near-darkness and whispering to Mrs. Norris, who padded ahead of him, eyes glowing. “We know you’re here, we know you’re hiding,” Filch said maliciously, peaking into a classroom. It was the only classroom in the hall besides the one Calvin was in, yet when Filch failed to find anyone inside, he wandered out, scratching his head. “Maybe they took the shortcut around the connecting hallway,” he grumbled, shuffling off. 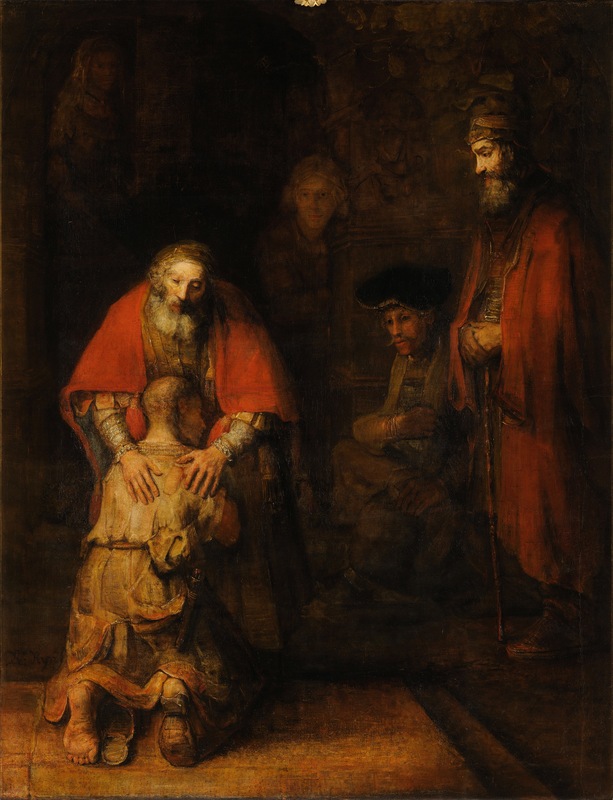 Calvin felt his heart shudder and sigh in relief as the caretaker left. Then he realized that he could still hear his heavy breathing, and had indeed been listening to it for the past minute-and-a-half. Despite having been holding his breath for much of that time. The spiky-haired boy slowly turned around, and stared. Six eyes stared back. Calvin gulped. “You must be Fluffy,” he said weakly. “Hagrid’s told me so much about you – all good things, of course,” he chuckled hoarsely, flinching as one of the dog’s great black heads lowered to sniff at him. He grabbed the doorknob and quickly made his escape before he became a midnight snack for the canine guard of the Greek underworld. No wonder Filch didn’t bother checking behind that door. Tiptoeing down the hallway, he realized that the classroom Filch had checked was a familiar one. They’re keeping Cerberus – not to mention the powerful and magical ‘Philosopher’s Stone’ – next to the Charms classroom!? Dumbledore’s nuts. Well, more nuts than I thought he was. The bad kind of nuts. Also the good kind – but now also the bad kind. By the time he get back to Gryffindor Tower, he was bone-tired and could barely keep his eyes opened. He stumbled over a body in the hallway and toppled onto the floor, right in front of the Fat Lady’s portrait. “You’re going to have to do better than that,” the Fat Lady told him, crossing her arms. Calvin gave her the only reply he was capable of. The sound of his unconscious body hitting the floor.